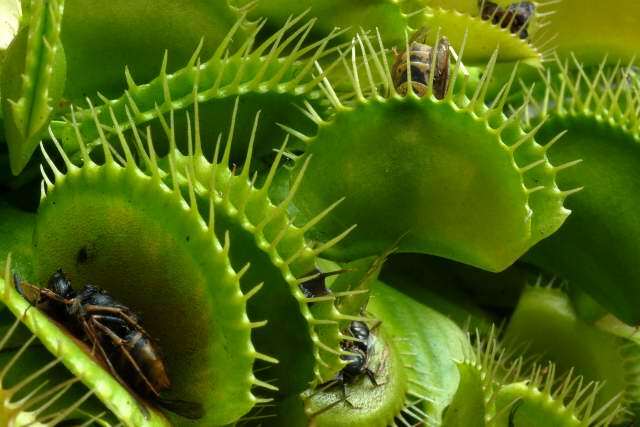 Most carnivorous plants eat flying, foraging, or crawling insects. Plants growing near, or around water, capture very small aquatic prey - mosquito larvae and tiny fish. 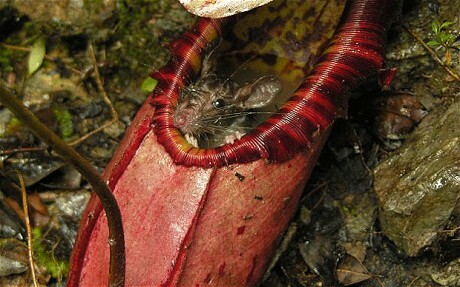 Some carnivorous plants consume birds, frogs and rats. 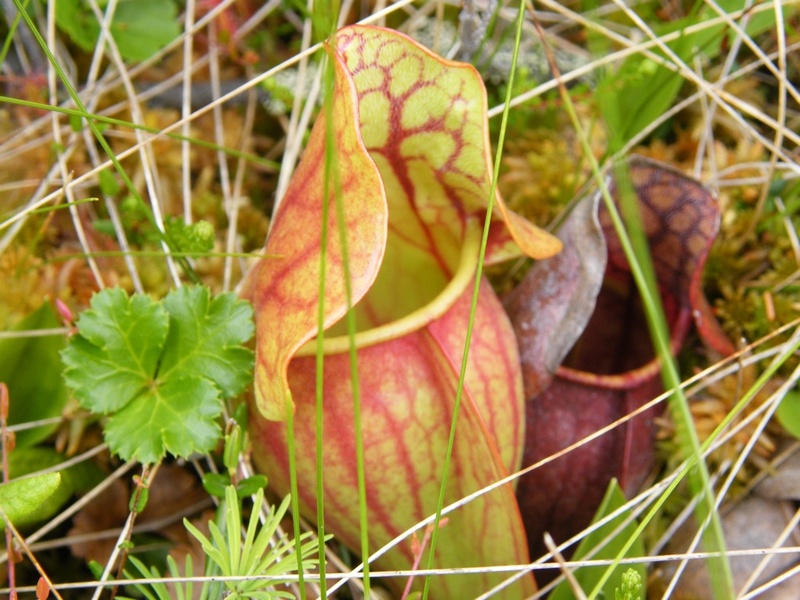 Carnivorous plants prefer to grow in places where the soil is thin or lacking in nutrients - like bogs and rocky areas, so these plants need to get some of their nutrients by trapping and digesting animals, especially insects. When something touches the trigger the hairs on the edges of the leaves, the cells on the inside wall of the trap transfer water to the outside walls, so the inside essentially goes limp. This makes the leaf snap closed. The pitcher plants come in all shapes and sizes, and grow around the world in different variations and species. The North American pitcher plant looks like a rolled up leaf forming a tube. Inside that tube is a gel substance that traps insects that make their way into the tube. 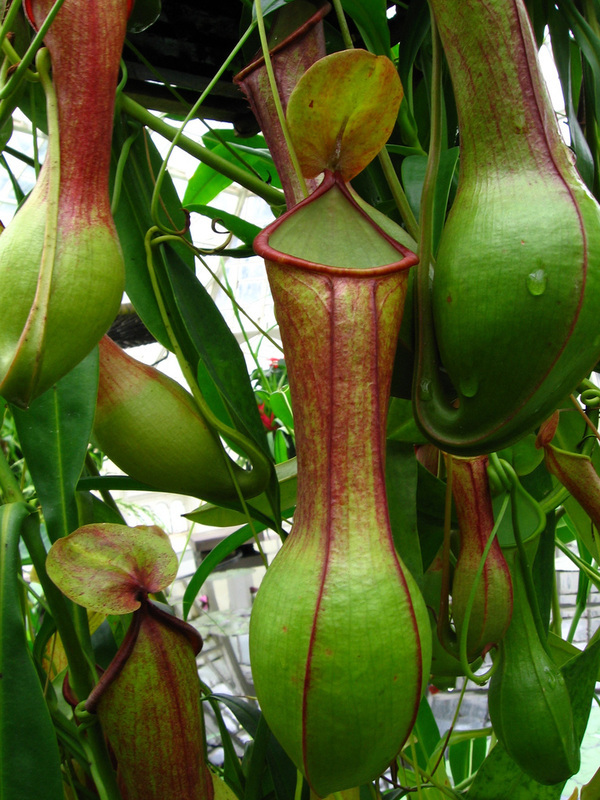 Some species of pitcher plants have a fly paper type of trap rather than a tube trap, which is called a pitfall trap. 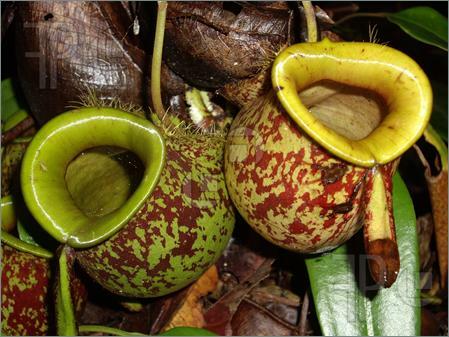 Some pitcher plants look like flowers, some like stems, and some look like leaves. One thing that all carnivorous sundew plants do have is the gel like substance at the tips of the tentacles that cover the leaves. This gel is a sticky substance that the insects that fly too near the plant get stuck on. The plant can then eat it. The many species of the sundew plant can be found all around the world, on every single continent. 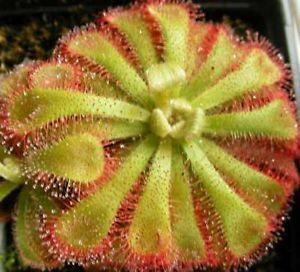 This is unusual for a plant because most carnivorous plants are found only in one or two regions of the world because of the different climates that they must live in. 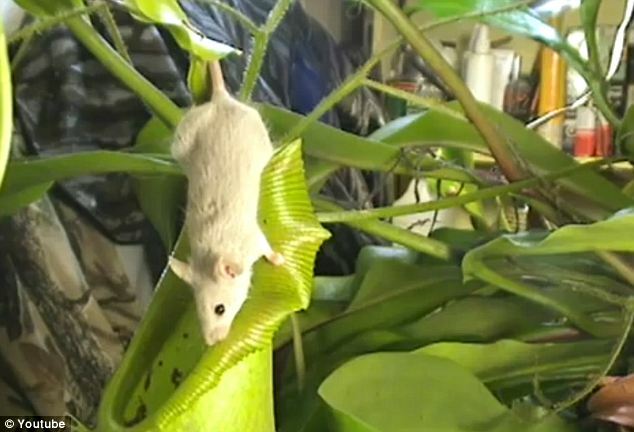 There’s a carnivorous plant so large that it gobbles up mice and rats - and it even digests the teeth and bones. Footage of a hapless mouse falling into one has been uploaded to YouTube, with over one and a half million users watching the unfortunate creature become lunch. Animals are lured into its slipper-like mouth to drown or die of exhaustion before being slowly dissolved by digestive enzymes.